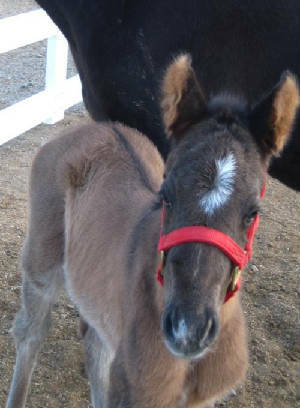 Our first 2010 foal has arrived. 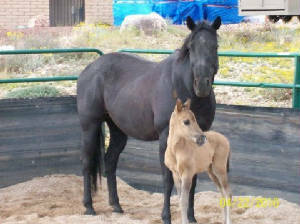 "Pistol" is a Grullo colt out of our black Smart Little Lena mare. 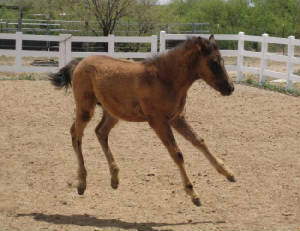 Pistol having way too much FUN!!!! 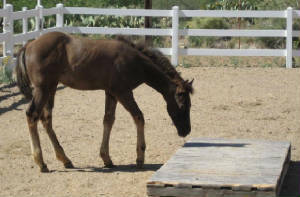 Pistol at 4 months after we shaved his winter coat. 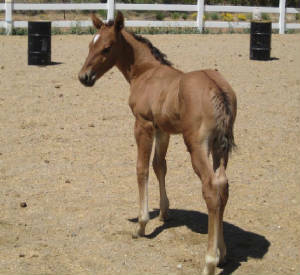 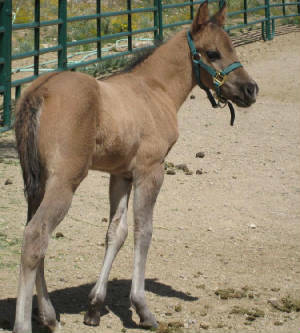 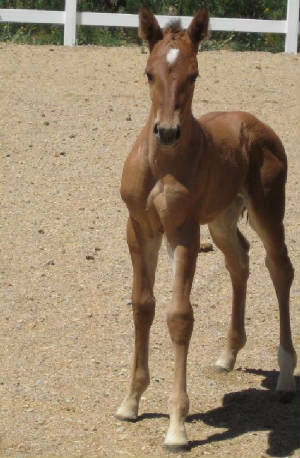 A 2010 grullo colt out of a Black Mare. 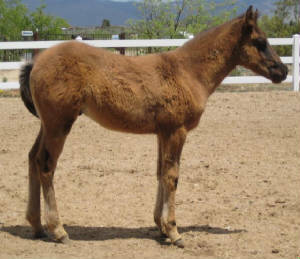 This is a Dun filly out of a Sorrel Mare.